Waves » Learn » Blog » Which Signature Series Best Fits Your Mixing Style? 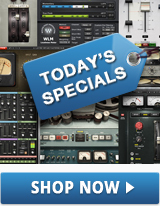 Waves Signature Series plugins capture the distinctive sounds and styles of the world’s top producers and engineers. Take this short quiz to find out which Waves Signature Series plugins are closest to YOUR mixing style – then share your result!